"The fact is that the video is saying otherwise, you should just admit the mistake and apologize," one netizen tweeted. 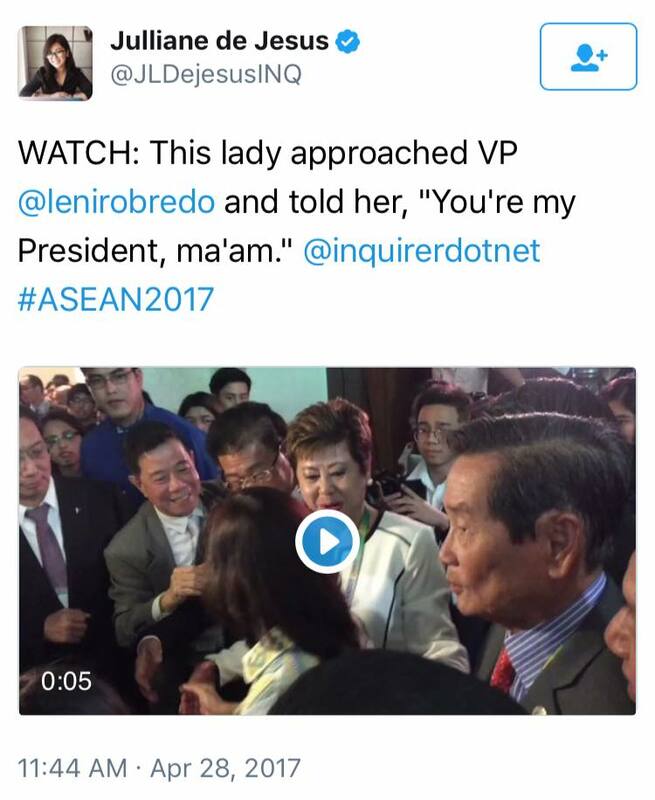 Juliane de Jesus of Inquirer posted on Twitter that someone told VP Leni "you're my President, Ma'am" but when you watch the video, the woman actually said, "Ma'am, dito po ang Presidente namin" gesturing to a man standing beside VP Leni. Sound very convincing, except that it is basically #FakeNews. 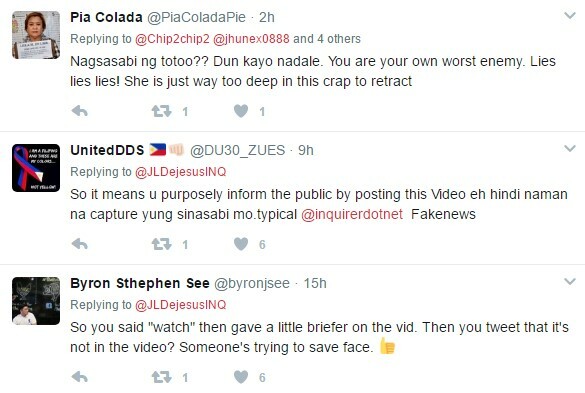 Savvy Filipino netizens who took time to watch the video she posted heard a total different soundbite. The woman NEVER said that. She actually said "Maam eto po ang Presidente namin," gesturing to introduce her group's President. She basically reported Fake News. That doesn't sound very surprising given she's from Philippine Daily Inquirer (PDI) aka President (BS Aquino's) Daily Inquirer. Filipino netizens on Twitter immediately called her out for deliberately twisting the news. Supporters of Leni Robredo accused De Jesus of trying to put Robredo in a bad light. They said she must be reporting wrong news so that Robredo gets bashed again online. 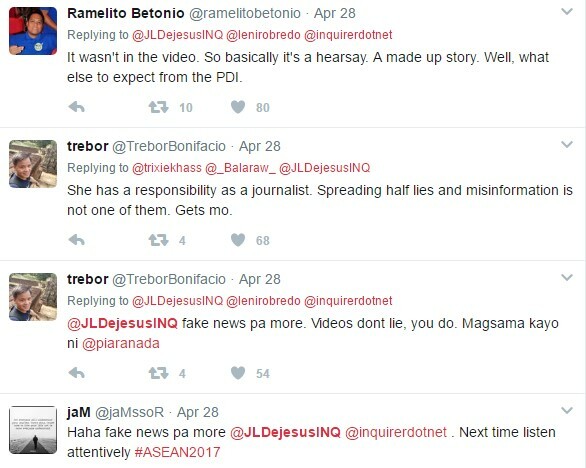 The tweet drew strong criticisms from Filipino netizens prompting De Jesus to backtrack her earlier report. She's just trying to save face. Her first tweet was very clear, she said she heard the woman say that and embedded the video to prove her wild imaginations. Nevertheless, her clarification didn't stop the netizens to condemn her rowdy actions.